Fr. Jonas Mejares, rector of the Basilica Minore del Sto. 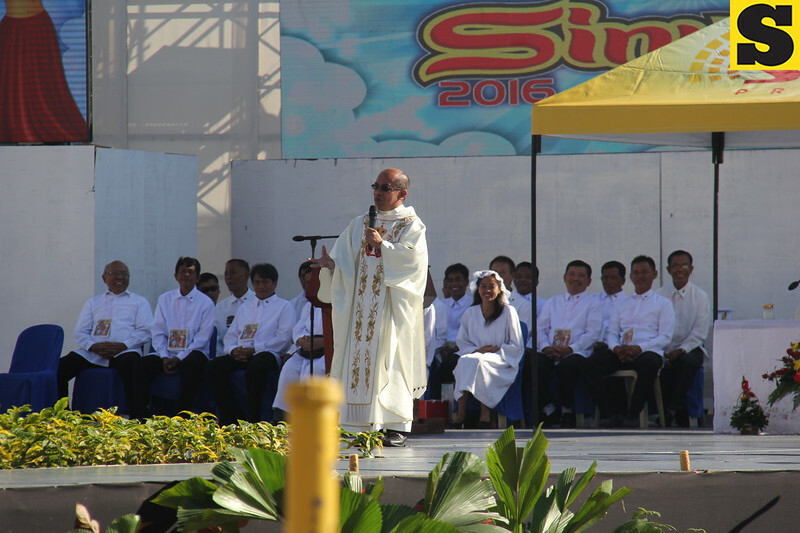 Nino, gives the homily during the Sinulog 2016 Thanksgiving mass at the Cebu City Sports Center.